It’s the first time when the oldest among the existing US market indices – the Dow Jones Industrial Average- has crossed the mark of 23,000 points. This happened during yesterday’s trading. The Dow Jones index has been reflecting the state of the American stock markets for more than a century, but only in 2017 it has made 49 records. Many experts fear that the shares of leading US companies have been overestimated and such a rapid growth of the index may result in a grandiose collapse. Yesterday’s rise in stock indices can be explained by the fairly confident reporting of large corporations. Dow Jones was created more than a century ago in order to track the development of the industrial components of the US stock markets. In calculating the index, stock quotations of the 30 largest US corporations are taken into account. 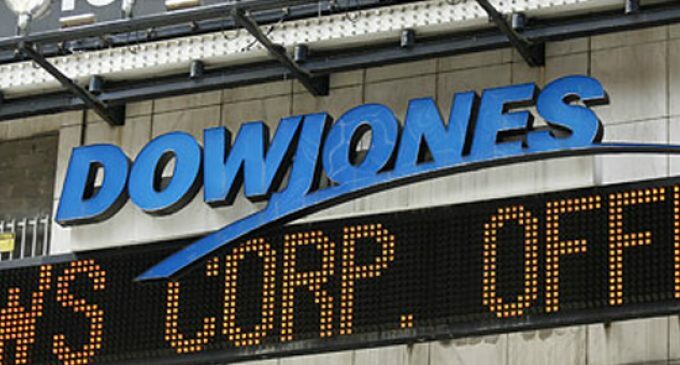 Dow Jones is a scalable average of the stock prices of the top 30 companies. The most grandiose collapse occurred on October 19, 1987. The event was called “Black Monday”. Tomorrow there will be the 30th anniversary of this sad event. Then, we recall, the Dow Jones lost a record 22.6%. For comparison, on the day of the terrorist attack on September 11, 2001, the index lost 7.1%. It is interesting that there were no obvious reasons for the collapse 30 years ago. The reason is the overestimation of assets and panic in the market. Now the events are developing in a similar way. 30 years ago the rapid growth of stock markets preceded the collapse and the deepest economic crisis.